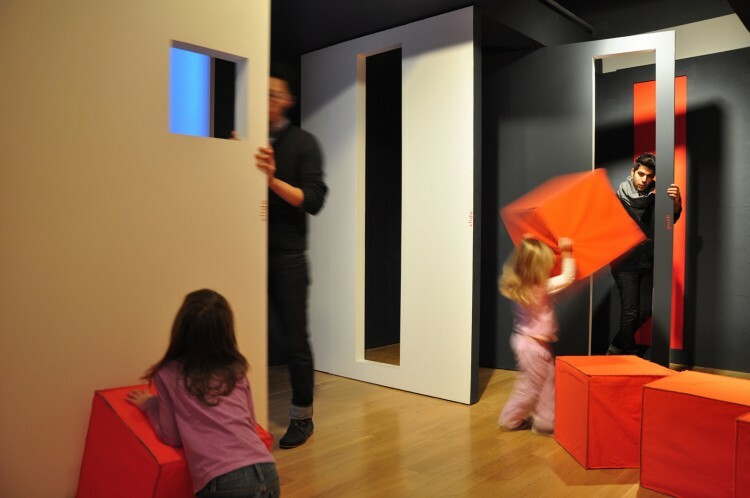 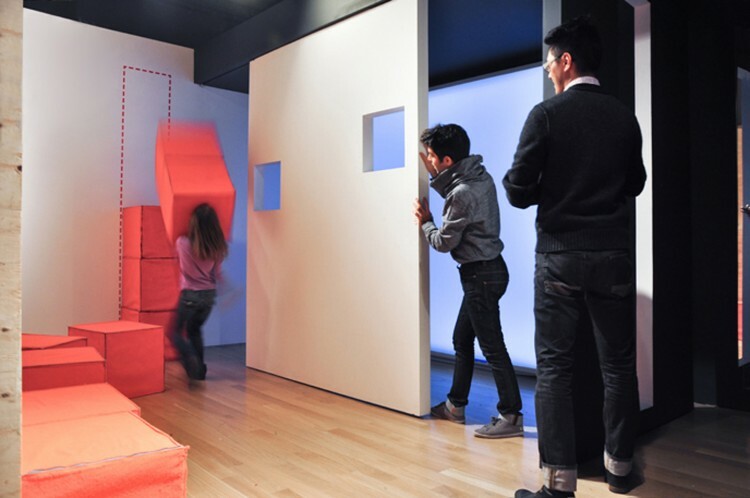 pull.push.slide.pivot.lift.tilt.turn is an interactive installation designed in response to the Building Partners exhibition at the Harbourfront Centre Architecture Gallery. 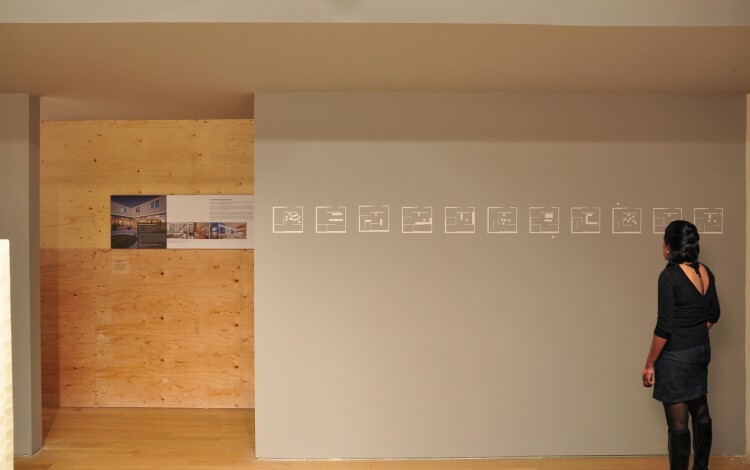 The installation explores how an architectural project is a negotiation of the ideas of both the Architect and the Client (User). 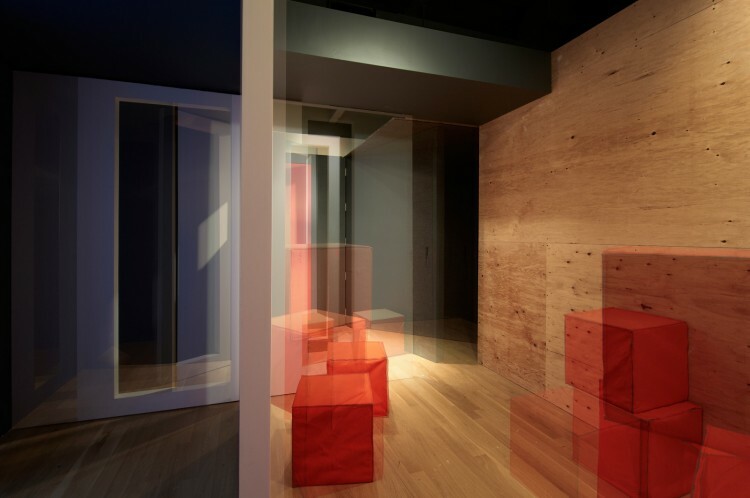 It demonstrates the effects of the User on the final built product through a framework of changeable elements and spaces conceived by the Architect, that can be manipulated by the User to affect the final spatial, visual and material result. 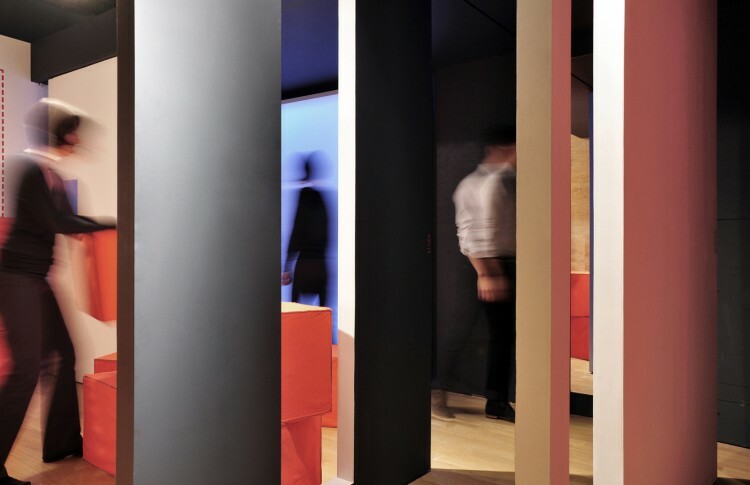 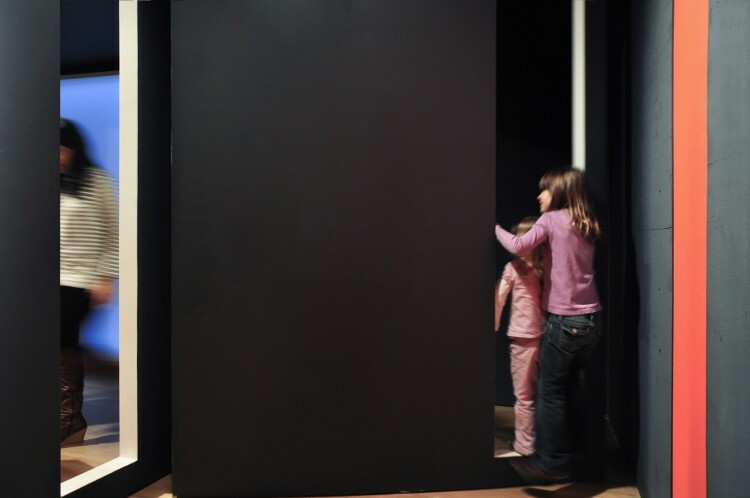 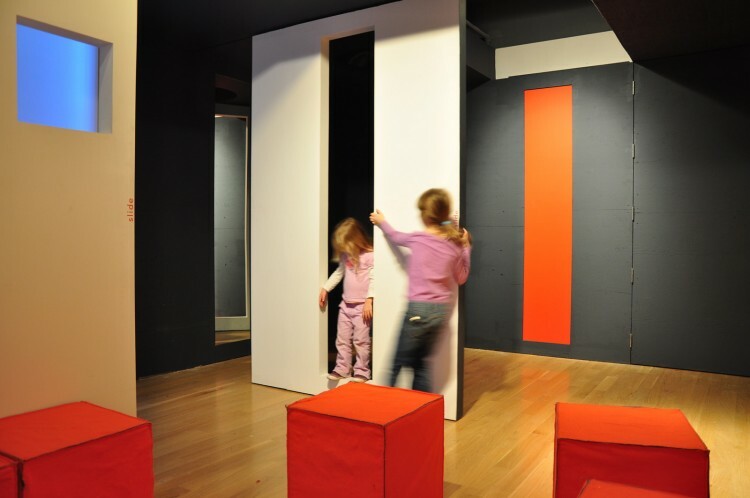 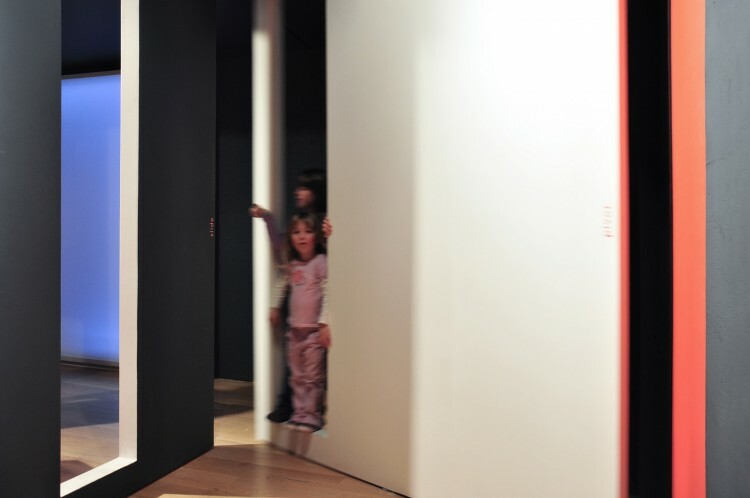 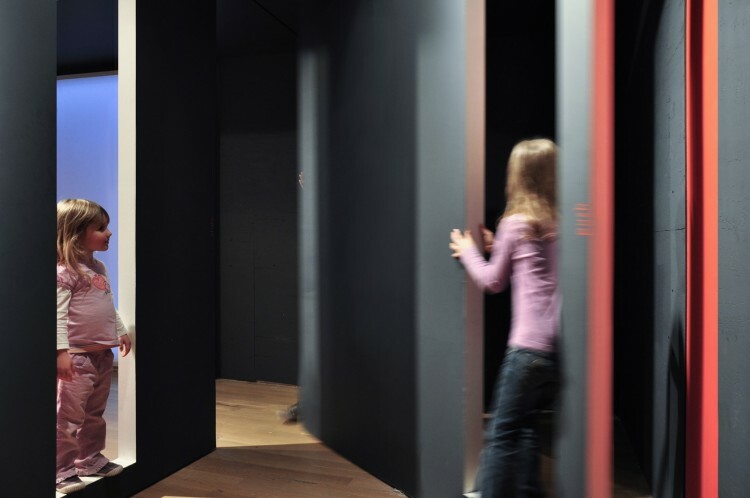 The built installation is a play of moving walls, textured and smooth surfaces, materials that alter acoustics, dark and light-coloured planes that reflect or absorb light, an interactive light wall, and moveable furniture-like elements. 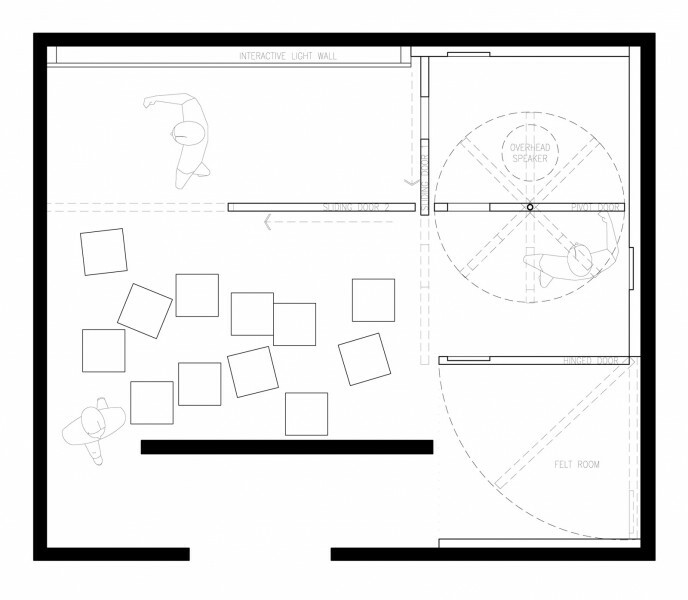 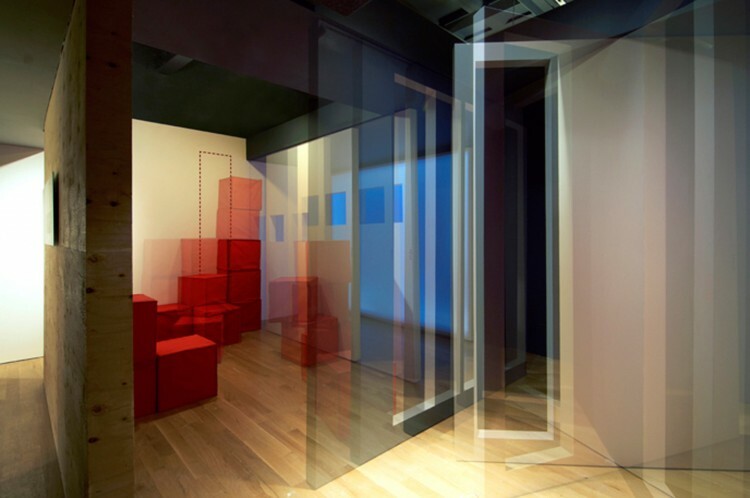 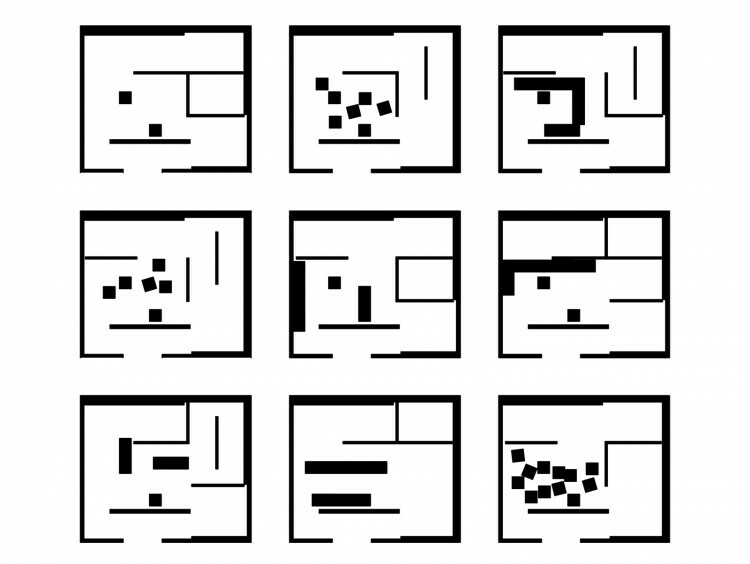 Sliding, swivelling, and pivoting planes representing walls can be altered to define rooms with differing spatial qualities.